Nicholas BROWN (1601 – 1694) was Alex’s 10th Great Grandfather; one of 1,024 in this generation of the Miller line. Elizabeth Leids was born in 1605 in Malford, Worchester, England. Her parents were Thomas LIDE and Jane GIBBS. It’s not known what exactly was her relationship with Nicholas’ mother Jane Leids. Some sources say that Elizabeth’s older sister married the father of Elizabeth’s husband which sounds incestous to me, even if Jane was Edward’s second wife. Other sources say that Thomas Lide and Jane Gibbs were Jane’s parents and Nicholas’ grandparents. Elizabeth died 1 Nov 1674 in Reading, Middlesex, Mass. Children of Nicholas and Elizabeth: I don’t have documentation of the location of the births of these children. It appears Nicholas maintained a connection to both Lynn and Reading in the 1640’s. 6 Jun 1665 in Reading, Middlesex, Mass. Nicholas Browne of Reading is not the same person as Nicholas Browne of Haverhill nor Nicholas Browne of Portsmouth, Rhode Island. Nicholas a native of Inkberrow, Worcestershire, England. He may have come to Lynn as early as 1630, but he first appears in New England records in March, 1638, when he is one of the 100 planters who received grants of land in the “Six-mile Grant”, of Lynn, Massachusetts. Nicholas received 210 acres, one of the largest grants. Many of the grantees did not occupy the land, but sold it to others. Nicholas did live on his land however, and he was active in the affairs of Lynn until 1649. He served as Lynn’s representative to the General Court, on various juries, and on the Essex County Grand Jury from 1641 to 1649. Sometime during those years, he moved his family to Reading, where he had also received several grants of land. His last two children are recorded in Reading, in 1640 and 1647, although Nicholas and his wife belonged to the church in Lynn until 1663. From 1651 on, Nicholas also took an active roll in Reading. He was chosen to fill various rolls such as selectman, commisioner “to try small causes”, and tax collector. Nicholas and Elizabeth had six children, the first four probably born in England, or possibly Elizabeth, thought to have been born about 1639, was born in Lynn, but not recorded there. The last two children are recorded as having been born in Reading. In 1660, Nicholas granted his son John power of attorney, as John was traveling to England. John was to attempt to recover whatever he could of the estate that his mother inherited from her father, Thomas Lide. Nicholas made his will on March 29, 1673 and died on April 5th. His estate was probated on April 17, 1673, it was valued at over 1200 pounds, a large estate in those days. Elizabeth died in Reading on November 1, 1674. 1660 – Sent his son John to England to look after the property of Thomas Leide which he had inherited as next of kin. Nicholas’ will was dated 9 Mar 1673, proved 17 June 1673. He bequeathed to children: John, Josiah, Edward, Joseph, Cornelius, and Elizabeth, and to his wife Elizabeth. Many of the Massachusetts Bay Colony‘s original settlers arrived from England in the 1630s through the ports of Lynn and Salem. In 1639 some citizens of Lynn petitioned the government of the colony for a “place for an inland plantation”. They were initially granted six square miles, followed by an additional four. 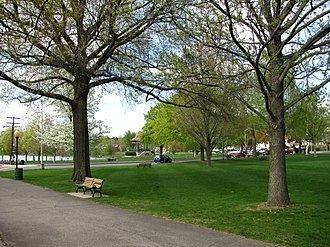 The first settlement in this grant was at first called “Lynn Village” and was located on the south shore of the “Great Pond”, now known as Lake Quannapowitt. On June 10, 1644 the settlement was incorporated as the town of Reading, taking its name from the town of Reading in England. The first church was organized soon after the settlement, and the first parish, later known as “South Reading”, became the separate town of Wakefield in 1868. Thomas Parker (Elizabeth Brown’s father-in-law) was one of the founders of Reading. He also was a founder of the 12th Congregational Church (now the First Parish Congregational Church), and served as deacon there. He was a selectman of Reading and was appointed a judicial commissioner. There is evidence that Parker was “conspicuous in naming the town” and that he was related to the Parker family of Little Norton, England, who owned land by the name of Ryddinge. A special grant in 1651 added land north of the Ipswich River to the town of Reading. In 1853 this area became the separate town of North Reading. The area which currently comprises the town of Reading was originally known as “Wood End”, or “Third Parish”. i. John Brown (b. 1664 Lynn, Essex, Mass. 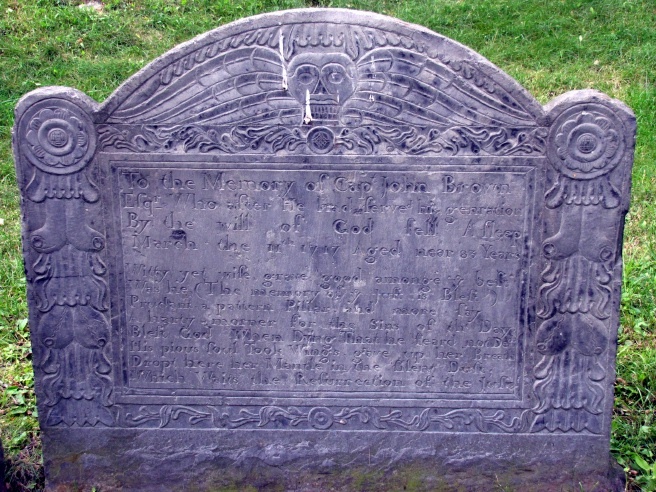 – d. Aug 1733 Stonington; Burial: Old Taugwonk Cemetery); m. Elizabeth Minor b. 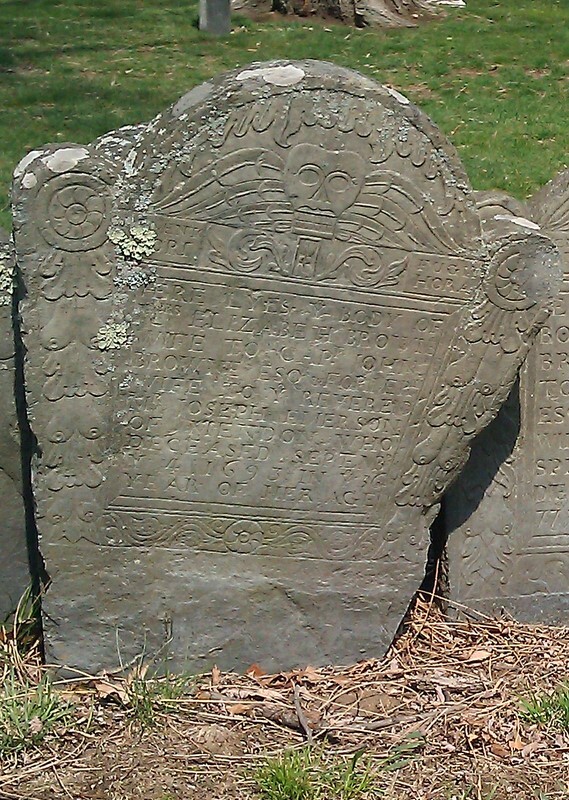 30 Apr 1674; d. 19 Jan 1736 Stonington, New London CT; Burial: Old Taugwonk Cemetery. Elizabeth’s parents were Ephraim Minor and Hannah Avery. Her grandparents were our ancestors, Thomas MINER and Grace PALMER. John’s first wife Elizabeth Osgood was born about 1636 in Wherwell, Hampshire. Elizabeth died 31 July 1673, Andover, Mass. John’s second wife Anne Fisk was born 15 Jan 1646 in Malford, Worcester, England. Her parents were John Fiske and Anne Gipps. Anne died 30 May 1681 in Reading, Middlesex, Mass. Inscription: Here lyes the body of Anna Fiske, first wife of Captain John Brown, Esquire, who dyed May 30, 1681, in her 36th year. John’s third wife Elizabeth Bulkeley was born 1638 in Concord, Middlesex, Mass. Her parents were Edward Bulkeley and Lucian [__?__]. Her grandfather was Peter Buckley (wiki), an influential early Puritan preacher who left England for greater religious freedom in the American colony of Massachusetts. He was a founder of Concord, and was named by descendant Ralph Waldo Emerson in his poem about Concord, Hamatreya. Elizabeth first married 7 Dec 1665 in Concord, Middlesex, Mass to Joseph Emerson (b. 25 Jun 1620 in England – d. 3 Jan 1680 in Concord, Mass.) Elizabeth died 4 Sep 1693 in Reading, Middlesex, Mass. Inscription: Here lyes the body of Mrs. Elizabeth Brown, wife to Capt. John Brown, Esquire, formerly wife to Rev. Joseph Emerson of Mendon, who deceased Sept. 4, 1693, in the 56th year of her age. John’s fourth wife Rebecca Crawford was born about 1634. Rebecca died 8 July 1710, Reading, Mass. William’s wife Lydia Parchment was born 1635 in Boston, Suffolk, Mass. Lydia died in 1680 in Bristol, Bristol, Rhode Island. Dea. Parker sailed from London on March 11, 1635, for Massachusetts. He settled first in Lynn, but in 1638 became either the first, or one of the first, settlers of what became the town of Reading. It was first known as Lynn Village, but was incorporated in 1644 as Reading, with a total of seven families living in seven houses. There is evidence that Parker was “conspicuous in naming the town” and that he was related to the Parker family of Little Norton, England, who owned land by the name of Ryddinge. Parker was a selectman of Reading and was appointed a judicial commissioner. He owned 200 acres of land on the north side of the Ipswich River, but his homestead bordered the east side of the Wakefield (then part of Reading) Common, just northeast of today’s Wakefield Town Hall. Reading split into three towns in the late 18th century, Wakefield (First Parish), North Reading (Second Parish) and Reading (Third Parish). Joseph’s wife Elizabeth Bancroft was born 7 Dec 1653 in Reading, Middlesex, Mass. Her parents were Lt. Thomas Bancroft and Elizabeth Metcalf. Her grandparents were Michael METCALF and Sarah ELWYN. Elizabeth died 31 Dec 1732 in Reading, Middlesex, Mass. This entry was posted in 12th Generation, 90+, Be Fruitful and Multiply, Immigrant - England, Line - Miller, Twins and tagged Most Popular Surname. Bookmark the permalink. I found my Brown family lineage in THE BROWN GENEALOGY 1628 – 1915 Vol 1 & Vol 11 by Cyrus Henry Brown, who was of Westerly, Rhode Island and a member of the New England Historic Genealogical Society (NEHGS). His works are available online as digitized books. He writes of my ancestor Thomas Brown (~1627) who married ~ 1652 Mary NEWHALL and lived in Lynn, Essex County, MA (later called Reading Middlesex Co, MA). In his second volume he admits his theory, written in his volume 1, that Thomas Brown was a son of Nicholas Browne & Elizabeth Lyde was in error. There was no proof of Thomas Brown’s birth year or birth place or parents when Cyrus Brown did his research & wrote his findings before 1916. I wonder what SOURCE has been used to determined that Thomas Brown (who married Mary Newhall) was born in Inkberrow, Worcester, England in c.1627. 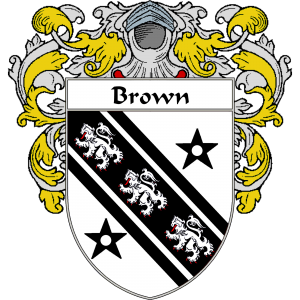 And that Thomas’ parents were Nicholas Brown(e) & Elizabeth Lide (Lyde)? 2. several of there future children were born in England between the years of 1632 – 1656? How is this possible? Again, I would greatly appreciate knowing the SOURCES of the births of these children in England. As it turns out, I know am finding that one branch of my family is descendant from James BABCOCK jr who married Jane BROWN, born 1645 in Malford, England, the daughter of Nicholas Brown and Elizabeth Lyde (Lide). This branch eventually marries with John W Brown who is the descendant of Thomas Brown & Mary Newhall through their son Eleazer Brown & wife Ann Pendleton. Thank you for any clarification on my questions. I think I have the birth location of the later children wrong. Some sources state that only the first four children were born in England, though most show England. (I suspect cut and paste) Have you seen a vessel record for Nicholas? One site says Nicholas first appears in New England in March, 1638, when he is one of the 100 planters who received grants of land in the “Six-mile Grant”, of Lynn, Massachusetts. Regarding the Nicholas Brown line, you list information that I have not previously seen on his wife Elizabeth. I’ve found no valid source as to her parents, or the surname you are showing for her. I would appreciate learning of your source. I don’t have documentation, but have seen it repeated in several places. Probably conjecture. Some sources say that Elizabeth’s older sister married the father of Elizabeth’s husband which sounds incestous to me, even if Jane was Edward’s second wife and not Nicholas’ mother. Other sources say that Thomas Lide and Jane Gibbs were Jane’s parents and Nicholas’ grandparents. I am still very surprised that Thomas Browne, Dish Turner of Reading and Lynn, MA is still listed as the son of Nicholas Browne of Inkberrow when Cyrus Brown (author of the “Brown Genealogy”) researched the issue back over 100 years ago and decided he was not. In looking for Thomas’ origins, the earliest note of him seems to be in the “Genealogical History of Reading” by Lilley Eaton, where town records ordered that “Thomas Browne, the Dish Turner, hath free liberty to fall ash trees….” (see page 13). I believe that Thomas Browne was also the Thomas Browne who married Hannah (Carter) Green, widow of William Green, based on several sources which give his age as “about 30” in a deposition he gave in 1658 regarding a dispute over the property of Hannah’s brother John Carter. In the deposition, Thomas Browne says he was married to the widow Hannah Green. Also, in the granting of his property in Groton, MA to William Longley, Mary (Newhall) Browne is referred to as Thomas’ “now wife”, indicating he was married previously. While I still believe there is some relationship of Thomas to Nicholas (there is a record of a Thomas Browne, son of Thomas Browne, christened in Inkberrow, Dec. 28th, 1628), as yet I have been unable to find any direct proof. Despite this, there must be at least 100 family trees on Ancestry.com that repeat this error. So much for the Family Trees on Ancestry,com. By the way, I am directly descended from Thomas through his son John of Stonington, CT, and his ggrandson, Rev. Abel Brown of Stonington and Hillsdale, NY.